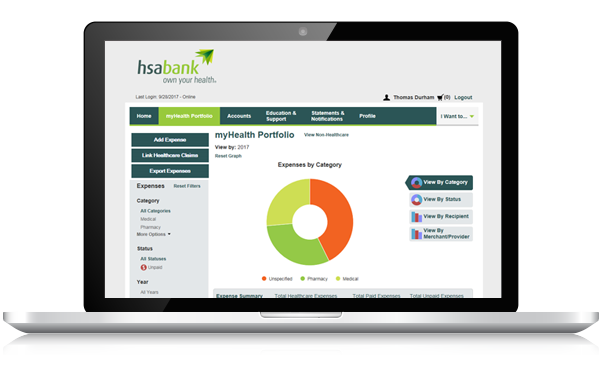 HSA Bank began offering Medical Savings Accounts (MSAs) in 1997. In 2004, the Bank provided an exclusive focus on Health Savings Accounts and quickly gained a nationwide reputation. In 2005, HSA Bank became a division of Webster Bank, N.A., a subsidiary of Webster Financial Corporation, incorporated in Connecticut. HSA Bank currently administers 2.7 HSA accounts and holds 7.2 billion in HSA deposits. The best HSAs for spenders are characterized by low maintenance fees. HSA Bank's $2.50 monthly maintenance fee is a little higher than we’d like to see, but can be avoided by holding $5,000 in the HSA checking account. To avoid this fee, consider maxing out your HSA as quickly as possible. The best HSAs for spenders also have very few additional fees that are layered on top of the maintenance fee. These fees are not recurring in nature, but can be incurred by the account holder if they undertake a certain action. HSA Bank subjects account holders to many additional fees. However, on their fee schedule they tell account holders how to avoid each fee. We think this is a practice every HSA administrator should employ. For example, the POS transaction fee can be avoided by pressing "credit" when using the HSA Bank debit card. The ATM withdrawal fee can be avoided by using online account transfers and so on. Below we have reconstructed HSA Bank's fee schedule to exhibit fees spenders are most likely to encounter. 3 The bank/ATM you use may charge you their own fee. HSA Bank customers using a Webster Bank ATM will not be charged a fee. In the chart below you can compare HSA Bank's fees to those of its competitors. Your HSA Bank Health Benefits Debit Card provides access to your HSA funds at point-of-sale with signature or PIN. HSA Bank limits point-of-sale debit card transactions to medical merchants. Debit card transactions are limited to your current balance. A new and convenient way to pay for your eligible healthcare expenses. Apple/Samsung Pay allows you the ability to pay for qualified medical expenses using your HSA Bank Visa® debit card with a single touch of the finger from your Apple/Samsung device. You can use our online Bill Pay system to pay a provider directly from your HSA. You can order a book of 50 checks to pay for routine and point-of-sale purchases. On HSA Bank’s member website, you can transfer funds from your HSA to an external bank account, such as a personal checking or savings account. There is a daily transfer limit of $2,500 to safeguard against fraudulent activity. Use your HSA Bank checks to reimburse yourself for an IRS-qualified medical expense already incurred. Simply write a check from your HSA to yourself and deposit it into your external personal checking or savings account. You can use your HSA Bank Debit Card at an ATM to reimburse yourself for eligible expenses paid out-of-pocket (a transaction fee may apply). When withdrawing HSA funds from an ATM, be sure to select the "checking" option (not savings) when asked the type of account you are withdrawing from. Store health expense data and receipts. File claims or distribution requests. View an easy to read snapshot of your healthcare finances with charts and graphs. Access to a team of HSA expert customer service representatives that employ a proactive educational approach to teaching participants the ins and outs of HSAs. Move money to your HSA by scheduling a contribution. Schedule an HSA distribution to pay a provider or reimburse yourself for an IRS-qualified medical expense. Review and verify IRS-qualified medical expenses. File FSA/HRA claims with receipt images. 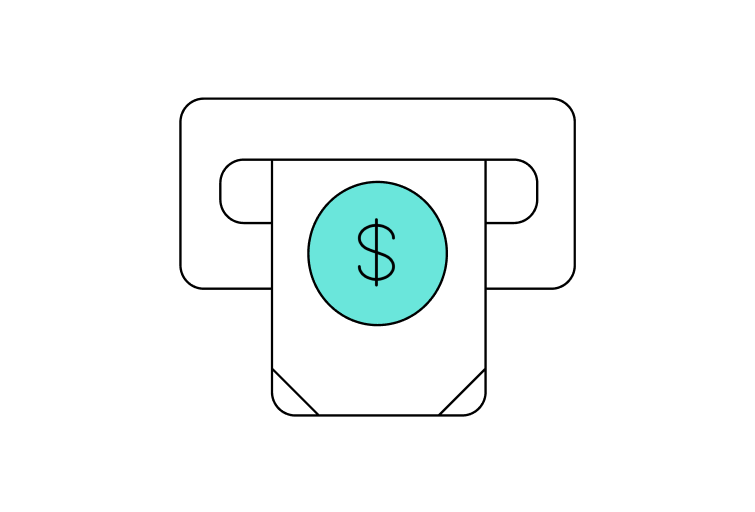 Enter a new health expense into the Expense Tracker. Easy access to the Client Assistance Center. Use HSA Bank's Expense Tracker to help you organize and store healthcare receipts, medical claims, premiums, and other important documents in one place. You can take a picture of the documents from your mobile device or scan them with a printer or scanner. You can decide to pay from your account now, pay later, or store for your records. Which participants are best suited for an HSA Bank HSA? Those who plan on holding at least $5,000 in their deposit account. No monthly maintenance fee would be incurred under these circumstances. Participants looking for a well rounded HSA offering. Dual-purpose use (spender/investor). HSA Bank is a top 10 investment HSA.